Constance Blomgren is an Assistant Professor of Education at Athabasca University, Canada’s Open University. Her background as a K-12 teacher in rural, remote, and northern Canadian locations now informs her research and interest in open educational resources and open pedagogy for K-12 teachers and learners. She curates the BOLT Multi-author blog that houses videos and podcasts regarding open pedagogy and OER for K-12. Her research regarding strengthening K-12 teacher awareness and use of OER and open practices has been published in IRRODL and Open Praxis. 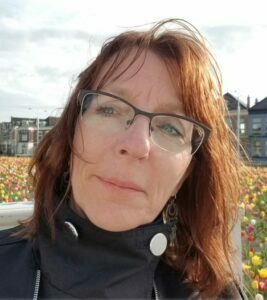 Connie has professional interest in visual and multi-literacies, participatory technologies, teacher professional learning, and open pedagogy. You can follow her on Twitter @DocBlom.